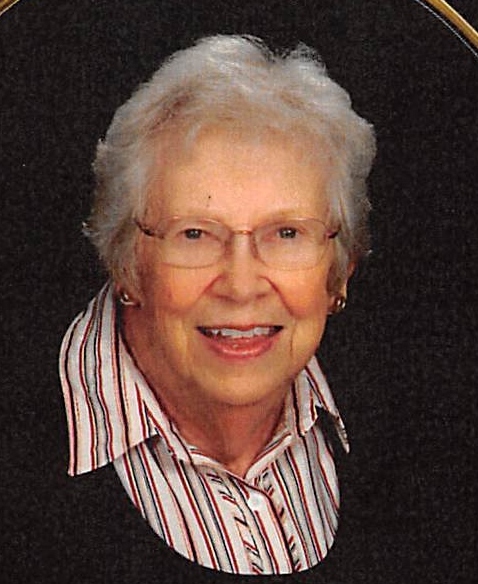 Obituary for Rita C. (Clark) Weber | Schaffer Funeral Home, Inc.
Rita Claire (Clark) Weber, age 94 of Defiance, died on Thursday, April 4, 2019 after a short illness at CHP Defiance Area Inpatient Hospice Center. She was surrounded by family and friends during her passing. Rita was born on July 13, 1924 in Paulding, Ohio, and was a graduate of Paulding High School. She was a clerk at J.C. Penney's, a teacher assistant at Defiance Elementary Schools, and an assistant at St. Mary's Parish Office. Rita was a devout member of St. Mary 's Parish. Preceding Rita in Death were her parents, her husband Virgil Weber, daughter Christine (Weber) Walker, grandson Ted Moninger, brothers Patrick, James and John Clark, and sister Mary (Clark) Hoelderle. Rita is survived by daughter Suzanne (David) Moninger, and sons Mark (Kathy) Weber and Doug (Cheryl) Weber. Surviving sisters include Joan Clark and Jean Cashman. Surviving grandchildren include Brian and Kevin Weber, Kristen and Ben Moninger, Patrick and Michael Walker, Katie Vslosek, Annie Berman, Shannon Rae Shiflett, and Brandi Johnson. There are eight great-grandchildren. Viewing hours are Sunday, April 7, 2019 from 2:00 pm to 8:00 pm at Schaffer Funeral Home in Defiance, with a Scripture Service at 4:00 pm. A Funeral Mass is scheduled at 10:00 am on Monday, April 8th at St. Mary Catholic Church, with Fr. Randy Giesige officiating. Burial will follow the service at Riverside Cemetery. In lieu of flowers, the family requests donations to the Defiance County Senior Services Activity Program. Online condolences can be given at www.Schafferfh.com.